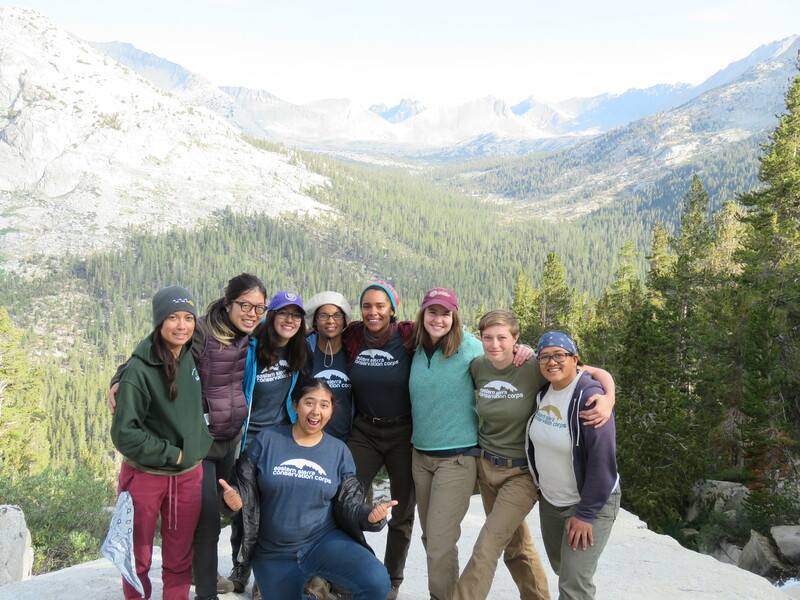 Women in the Wilderness is a partnership program of the Eastern Sierra Conservation Corps (ESCC) and the California Conservation Corps Foundation. The Women in the Wilderness (WIW) Program takes groups of young women and female expressive persons into the backcountry for an 8 day, 40 mile educational and immersive backpacking trip. Through the hands on teaching of backpacking skills and an introduction to trail maintenance, we provide a personal and meaningful wilderness experience. Our trips include presentations along the way about job opportunities in natural resource management and instruction in necessary skills for backpacking and working trails in the backcountry. We volunteer with agency trail crews for a few days while in the backcountry. Our trips have included destinations such as Kings Canyon National Park and Lassen Volcanic National Park.